My journey began as a mom who wanted to help her child who was suffering. It was heart wrenching to see my child in so much pain and felt like there HAD to be more I could do. I would stop at nothing to help my child. You know how they say the best researcher is a worried mom? Well, I can attest to that. My innate love for holistic health led me to the world of essential oils again. After much hesitation and skepticism, I jumped in with two feet and never looked back. Not only did essential oils help my child, but they helped me, as a stressed-out parent. They helped my entire family live happier, healthier lives. Seeing the change essential oils made for my family sparked a new passion for me. I proceeded to enroll in a holistic health program in hopes of becoming a naturopath. After completing my holistic heath certification, I felt pulled into a different direction. I felt a deep connection to aromatherapy so I enrolled in my first official aromatherapy course. 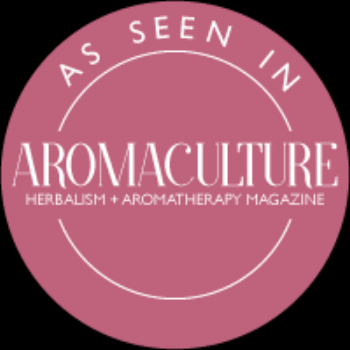 Since then, I have also become certified/trained in clinical aromatherapy, aromatic medicine, flower essences, life coaching, NLP, acupressure, and Reiki. Drawing from my knowledge and experience with all of these holistic modalities helps me to better serve and educate others. I paint a holistic picture for my clients who are seeking emotional empowerment. My mission is to heal emotional wounds so the physical body can follow suit. Why emotional healing? Because behind every physical ailment is an emotion state that needs to be addressed. Because the body and mind are not separate entities but one. Because I have been personally affected by it and have seen the role that emotions can play in one's life. I know how it feels to be so anxious that I felt trapped in my own home and just wanted to run away from my problems. I know how it feels to be a parent who hides in the bathroom crying and begging for someone to take the pain away from my child. I know what it's like to be so stressed that I cannot get my mind to stop racing at night. I know what it's like to be so focused on the mundane daily routines that I lost my zest for life. I know what it's like to be so focused on what "has" to be done that I wasn't living in the present. I have seen loved ones lose their core identities, their happiness, their will and their self worth and cannot figure how to put themselves back together again. Almost all physical manifestations have an emotional root. Without addressing this root, you will never solve the problem. The mind is intensely powerful. We live in a world where negative emotions can easily take the steering wheel and so many people don't know how to take their power back. That's where I step in. That's where I give empathetic support and guidance to teach you how to gain holistic wellness. I create a safe and empowering place where you can discuss the improvements you want to make in your life. Together we construct your customized holistic blueprint for moving past the emotions that are hindering you. I specialize in working with children with neurological impairments, especially ADD/ADHD and anxiety, which hinder their success in the classroom. I utilize my holistic training along with my almost 20 years experience and higher education as a professional educator to help you find ways to support your child. I also bring in my experience as a parent who has been there and knows how much these disorders can affect your child, your family, and your life. The holistic health field is where I feel like I belong and where I am needed. I want to empower you to make your health and wellness a priority. I want to educate you how to use botanical remedies safely and effectively with your family. I want to formulate the highest-quality plant synergies to support you on your health journey. I want to guide you on how to incorporate easy changes in your life. To make you feel healthier. To have faith in your body. To understand the relationship between your emotional and physical self. To get to the root of your problem on all levels. To be the best YOU. "Give a man a fish and you feed him for a day. Teach him how to fish and you feed him for a lifetime". Guest blogger for Aroma Couture Jewelry. Get free advice sent directly to your inbox. Never miss a tip again! Of course! Why wouldn't I? We respect your privacy and will never give your email to anyone else.